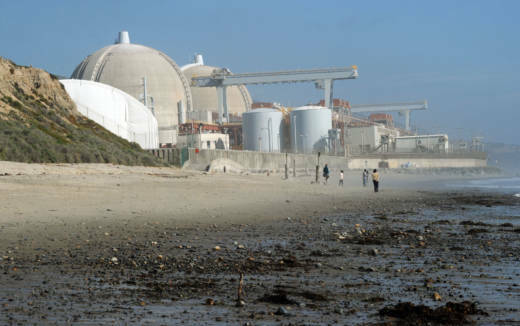 The Nuclear Regulatory Commission (NRC) will conduct a special inspection at the site of the San Onofre Nuclear Power Plant, after a near-accident earlier this month while moving highly radioactive spent fuel. A team of inspectors from the Nuclear Regulatory Commission will arrive Sept. 10 and spend about a week at the power plant. They will review what happened when a canister loaded with radioactive spent fuel got stuck while being lowered into a storage vault. It narrowly avoided being dropped 18 feet. The near-accident was revealed during a community engagement panel by safety inspector David Fritch. "There were gross errors on the part of two individuals that are inexplicable," said Fritch. The NRC said it will interview personnel, review corrective actions and find out if Edison has a plan to lift a canister back out of the storage vault to see if it is damaged. After a previous mishap involving a broken pin inside one of the storage vaults, Palmisano said no one has ever had to take a canister back out of the vault and return it to the fuel pools to check for problems. Southern California Edison said it has moved 29 of 73 canisters loaded with spent nuclear fuel out of cooling ponds and into dry cask storage. Another 50 canisters of spent fuel are already stored on site. The company said it has stopped loading the fuel rods from the pools into storage near the beach until the inspection is concluded. The NRC said the review will decide if the inspection should be elevated to an Augmented Inspection Team, or AIT. The NRC previously launched an AIT in 2012 when San Onofre’s recently installed steam generators developed a radioactive leak that ultimately resulted in the permanent closure of the plant.